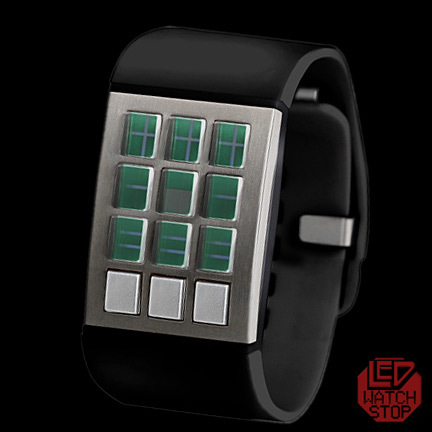 Introducing the newest addition to the Click Watch series! 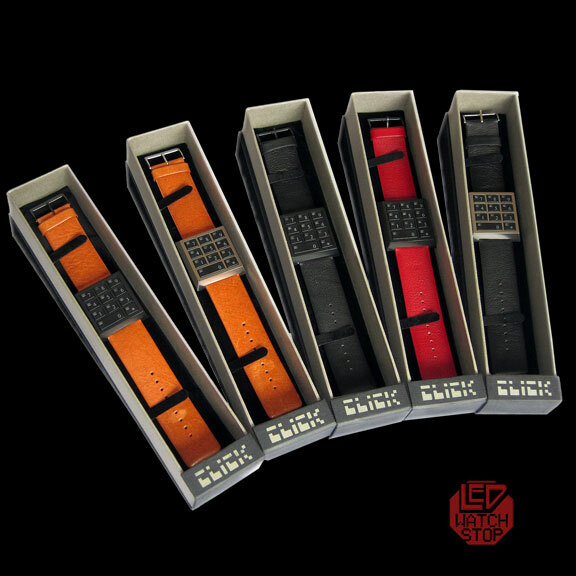 This ultra cool line of watches utilizes authentic electronics and mechanics...the kind that you would find from computers & arcade games from the 80's to your modern everyday life. 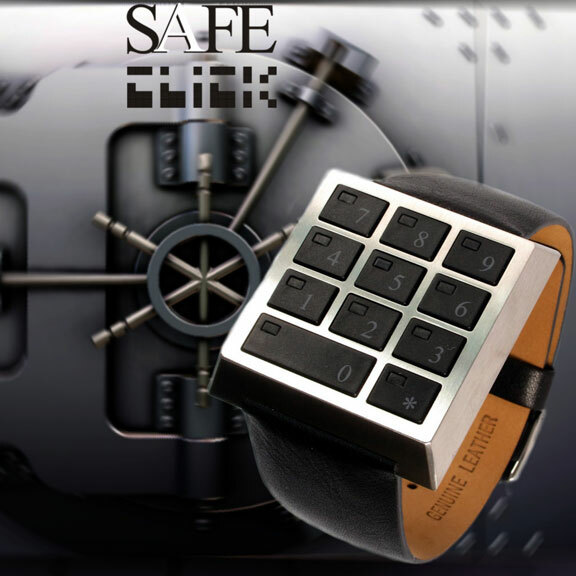 The WALLSAFE...yet another ingenious addition you can add to your tech-savy Click Watch collection! 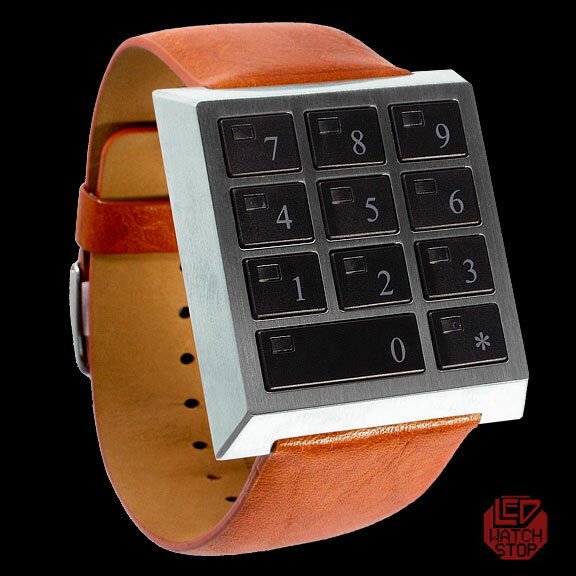 This ultra unique watch is designed to look like a modern wallsafe keypad; with chunky stainless steel case and genuine leather wristband. 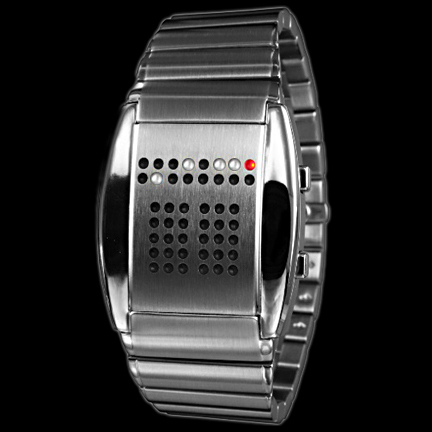 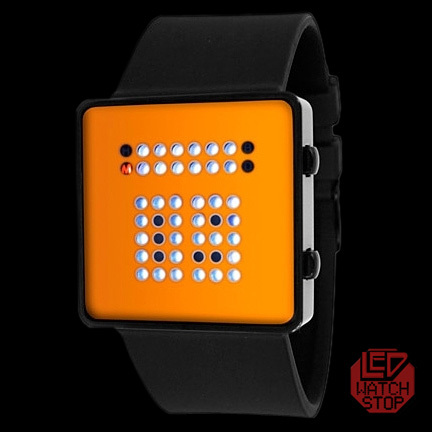 Its luminous white LED's make it easy to read its 12 or 24 hour time display as well as the date. 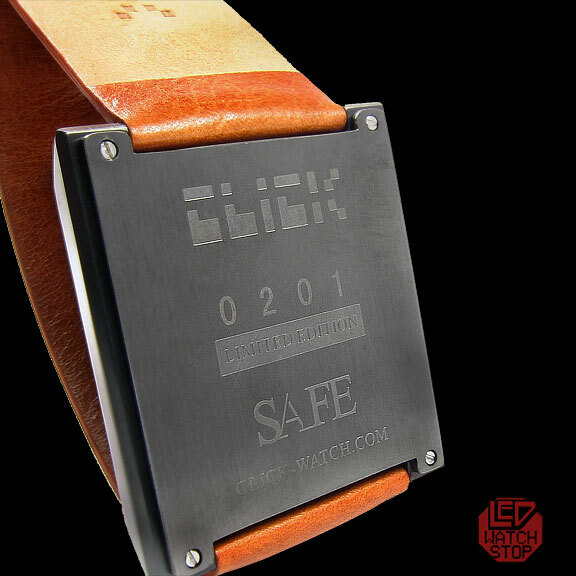 Keep your sense of time safe with the WALLSAFE!